There is increasing demand for point-of-care support for health workers, so to minimize the number of unnecessary referrals to the District Hospital in Agroyesum, which is often overwhelmed by cases that could be treated from a distance using ICTs. In an effort to strengthen human resources in rural areas and to improve the quality of primary healthcare, the Novartis Foundation for Sustainable Development, in cooperation with the Millennium Villages Project (MVP), the Ministry of Health and the Ministry of Communications in Ghana, National Health Insurance Agency Ghana, Ghana Health Service, and Ghana Medical Association, initiated a Telemedicine Project in Bonsaaso cluster in Ghana. The Telemedicine Project aims to reduce transportation time and costs for patients and their families, to increase medical knowledge and safety in primary healthcare facilities, and to strengthen local capacities in e-health. With the help of Ericsson, Airtel and Ghana Ministry of Communications, mobile network accessibility was expanded to 21 communities and all seven health facilities in the Bonsaaso cluster. These activities were complemented by the procurement of necessary equipment, including mobile phones, the creation of a toll-free emergency number. The Telemedicine Project uses information and communications technology (ICT) to improve the medical referral system and reduce unnecessary travel. Healthcare personnel are trained in the use of mobile technologies to perform health consultations from a distance. Finally, a monitoring system evaluates the performance and the quality of the telemedicine services in a timely fashion. Data collection from the project will also lead to the improvement of healthcare practices and policy in Ghana. Best practices from the project aspire to inform future Ghana health strategies, particularly as the Ministry of Health scales up telemedicine services across the country. Structured consultation ensures that the most important questions are answered for a rapid and accurate triaging and diagnosis, which ultimately helps decide whether or not a patient requires referral to the hospital. Improve access and availability of healthcare services. Reduce unnecessary transportation and improve the referral system in rural areas. Columbia’s Earth Institute blends research in the physical and social sciences, education and practical solutions to help guide the world onto a path toward sustainability. The world's population is expected to increase to nine billion by 2050. Human activity and the desire for economic improvement are straining the planet's resources, threatening the health of their environment and ability to thrive. Managing those pressures will require the best understanding of the Earth’s ecological and environmental systems, and an ongoing effort to bring that knowledge to bear on public and private policymaking. The people who make up the Earth Institute are earth scientists, economists, business and policy experts, specialists in public health and law, researchers, teachers and students. The institute comprises more than two dozen research centers and several hundred people who collaborate across many disciplines and schools at the university. At their largest research unit, the renowned Lamont-Doherty Earth Observatory, some of the world's leading scientists study geology, oceans, freshwater systems, climate and atmosphere to better understand the Earth’s systems. By bringing those physical scientists together with experts in economics, law, public health and policy, the institute creates collaborations that help them learn how to best address issues of global sustainability. They use that knowledge to develop policy and engineer practical solutions to their many challenges: climate change and environmental degradation, rapid urbanization, infectious diseases, natural hazards, the need for clean and accessible energy, water and sanitation, and the sustainable use of resources. And they are educating the next generation of leaders in earth sciences and sustainable development. 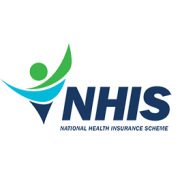 Implement approved national policies for health delivery in the country. Manage prudently resources available for the provision of the health services. Perform any other functions relevant to the promotion, protection and restoration of health. The first organized group of African doctors in Ghana was the Gold Coast Medical Practitioners Union which was formed in 1933 to act as a vehicle for redressing grievances of African medical officers in government employment. It was jointly founded by three Ghanaian doctors namely F. V.Nanka -Bruce (President and Spokesperson), C. E. Reindorf and W.A.C Nanka Bruce with J.E. Hutton Mills as secretary. 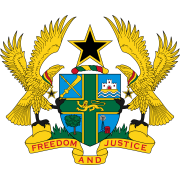 Subsequently in January 1953, the Ghana Branch of the British Medical Association was inaugurated following the formation of an African government in 1951. With Dr F.V .Nanka Bruce again as its first President, the Branch quickly gained legal recognition because of its relationship with the parent BMA. Five years later, on January 4, 1958, the Gold Coast Medical Practitioners Union and the Ghana Branch of the British Medical Association officially ceased to exist having been amalgamated to form the Ghana Medical Association. With an initial membership of forty, the GMA was inaugurated at the Arden Hall of the Ambassador Hotel at Accra by Dr Kwame Nkrumah, Ghana's first President, then the Prime Minister with Dr C. O Easmon as its first President. With a current membership of over 1700, the GMA is housed in a modern secretariat in Korle-Bu opposite the auditorium of the University of Ghana Medical School. The GMA is made up of ten Divisions whose Chairmen together with the National Executive Committee and a representative each from the Society of Private Medical and Dental Practitioners , Ghana Dental Association and the Junior Doctors Society, constitute the National Executive Council. The National Executive Council meets every other month to deliberate on matters affecting the association. The highest decision making body of the Association is the General Assembly which meets at the Annual General Meetings held in different parts of the country. Some of the activities carried out by the GMA each year include the Annual National Health Week, Annual Public Lectures, Seminars on Continuous Professional Development etc. 1. The Association affirms that health is a right and must be made accessible, equitable, affordable, and appropriate and safe at all times to all the people in Ghana. 2. The Association is committed to partnerships and collaborations with all Professions and Groups interested in promoting optimal health for the people of Ghana. 3. The Association affirms the belief that the health of the people of Ghana means the total well being of the people and not the mere absence of disease. 4. The Association is committed to the welfare of members and other health professionals as essential to achieve and sustain optimal health care delivery in Ghana. 1. To continuously promote good health amongst all people, through participation in the development and maintenance of the highest possible standards of healthcare delivery in Ghana. 2. To seek the total welfare of members of the Association. 3. To maintain the honour, dignity and professionalism of the medical and dental professions. 4. To develop partnerships with all stakeholders who subscribe to and support the philosophy of the Association. 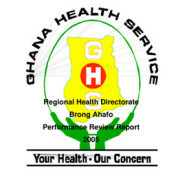 As a critical Sector of the economy, the Ministry of Health seeks to improve the health status of all people living in Ghana thereby contributing to Government's vision of universal health coverage and a healthy population. The Ministry of Health, working in partnership with its agencies and stakeholders aims at improving the human capital thus "creating wealth through health" through the development and implementation of proactive policies that will ensure improved health and vitality. Medgate is the leading global provider of enterprise Environmental, Health, Safety, and Quality (EHSQ) software solutions. Medgate's software is a total EHSQ and productivity solution that is configurable to any company's requirements. Designed by industry experts with real-world experience, their Occupational Health, Safety, Industrial Hygiene, Environmental, and Quality software products have the most comprehensive functionality and user-friendly design in the market. Available in multiple languages, their software is used for EHSQ data management across the globe in hundreds of the best known corporations and government entities. Their vision is a world in which Environment, Health, Safety, and Quality (EHSQ) are embraced as key to an organization’s productivity and performance, and where Medgate is recognized as the single most trusted and sought-after EHSQ software partner around the world. Their mission is to partner with organizations around the world to effect meaningful change in the way Environment, Health, Safety, and Quality (EHSQ) are managed. They want to stand beside their customers as they attain performance goals, reduce EHSQ risks, and create a healthier workforce. To do this, they must earn their trust and deliver a second-to-none experience with their company, products, and services. 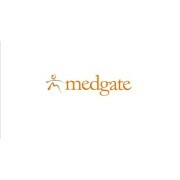 Medgate’s core value is customer service excellence. Their people are trained EHSQ professionals. They know your world.